After more than 10 years of anticipation the Chimera Ant arc – the longest and darkest arc in the Hunter x Hunter manga – is finally upon us. While the latest episodes still carry the inappropriate childishness that characterized this reboot from the get-go the Ant arc is slowly forcing this series to return to its true manga roots. I hate the reboot. The original Hunter x Hunter anime didn’t skip on character introductions, had better music, a much better atmosphere, better voice acting, you name it. 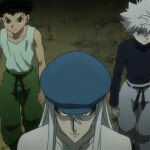 After the first ten episodes I gave up on this so-called “reboot”, even though I always considered myself a die-hard HxH fan. But even as I left it behind I marked the date the Chimera Ant arc would start on my calendar, and waited for the glorious day when a never-before animated part of HxH will see the light of television. The time is now and the ant arc sure has good things in store for us. For those unfamiliar with the ant arc it is the longest and most violent arc in Hunter x Hunter. It also marks a point in Gon and Killua’s journey where they must man-up and start killing their enemies or be killed themselves. One of the biggest reasons fans have coveted an animated version of the ant arc for the last ten or so years was the quality of the original serialized manga. When Yashihiro Togashi drew the ant arc for Shounen Jump magazine he was not in good health – a fact that caused the image quality of the HxH manga the drop to an all-times low (the quality of the serialized manga would only improve in the very late stages of said arc). 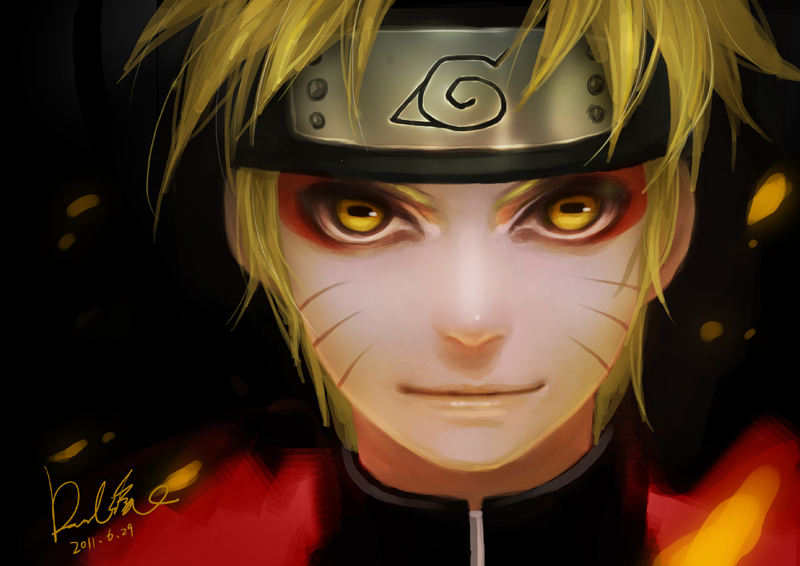 Coming in 2013 the animated version is showing a big improvement over the original art. The other reasons for wanting this arc are obvious: colorful representation and animated action. The Hunter x Hunter Chimera Ant arc – comparing the new anime art to the original manga art. But the ant arc might be a bit too colorful for its own good. Unlike other contemporary shounen shows Hunter x Hunter isn’t shaded and uses a fairly basic color palette. The detailed illustrations of the queen and king in the opening sequence put to shame the actual ants with their crayon colors. Granted, as the more grotesque ants will start showing this petty annoyance will come to an end, but for now the ants’ simple colorful designs and half-human half-animal nature look like a cheap homage to the original Teenage Mutant Ninja Turtles. The shows’ music still remains complete garbage. In episode 80 a human is beheaded. This proves to be a powerful scene in the original manga. In the anime equivalent a stupid samba song is playing in the background, effectively killing the tension and sense of doom the original scene had. 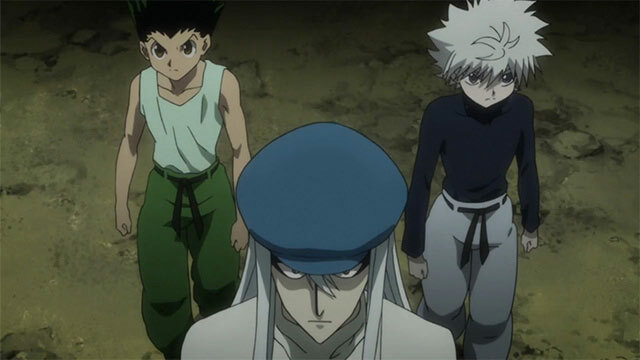 This outcry continues as Gon and Killua march into the hellish NGL to the rumbling sounds of the “journey theme” (you know exactly which theme I mean). At this point I am sorely disappointed by Madhouses’ musical choices. 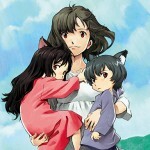 Speaking of disappointments, why the hell isn’t Madhouse creating a new opening theme? That theme has been playing for 81 episodes. For crying out loud replace it already! That said I don’t disapprove of the anime version of the Chimera Ant arc. On the contrary – I’m confident that before too long the darker nature of this arc will force Hunter x Hunter to return to its roots and be relevant again. And in a few more episodes when hot-shots like the guardian Neferpitou and hunter Morau (Morel?) will enter the fray the battle for supremacy between man and ant is bound to become much more intense. 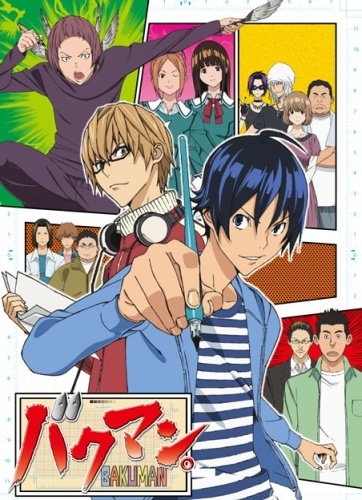 It was recently announced that Bakuman is getting a 3rd anime season, and this is a good opportunity to discuss the uprising popularity of Bakuman as a Weekly Shounen Jump manga. Bakuman is a very popular manga which runs neck to neck with manga giants like One Piece and Naruto. 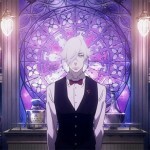 It has managed to claim itself a place among the top 5 most popular Jump series, which is why a 3rd anime season is being announced for it even though the 2nd season is still currently airing. And yet Bakuman is not your run-of-the-mill Shounen Jump manga. A small introduction to the series is due. Bakuman is a series about several aspiring manga artists. In the beginning it only focuses on an aspiring manga artist named Mashiro and his aspiring writer friend Takagi. They decide to combine their talents and make a great manga together. After a while more characters (and manga artists) are introduced. The series shows how the manga artists struggle to enter the tricky business world of manga and what hurdles are thrown in their way as they enter it. In a nutshell it is a manga about making manga. Bakuman is well grounded in reality and doesn’t have all the aliens/monsters, super powers and special moves that are staples of typical Shounen Jump series. Moreover you won’t find any villains in Bakuman (unless you count grumpy editors as villains), there is only a small pool of characters to follow and these characters never battle each other or have any physical confrontations. Heck, even fanservice is kept to a nil! Have no misconceptions though, Bakuman is 100% Weekly Shounen Jump material. The series maintain a constant feeling of advancement and achievement. 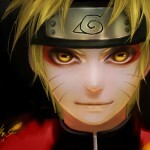 The main characters strive to create a manga, fail, rise again and learn from their mistakes. They have dream and act to achieve them. Does having no battles mean having no tension? Hell no. Bakuman is rife with cliffhangers. Will the main characters’ manga succeed or flunk? Can they make the deadline in time? What happens when one manga artist collapses due to overwork? What is the best trick the artists can come up with to attract more readers? Bakuman can deliver tension when it’s due. 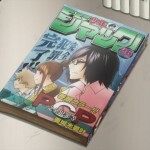 I find Bakuman to be a very mature and refreshing series. Any unnatural occurrence or mystical powers would have just watered-down the experience. I expect realism from Bakuman. When I watch the Bakuman anime I watch it to see believable human interaction, intelligent human thinking and a decent paced plot. It also helps that this series has zero fillers. It probably won’t be remembered as one of Shounen Jump’s greatest series of all time, but future Shounen Jump series should learn from Bakuman. Learn to be fresh, break the mold and appeal to new audiences. If you like mature and innovative series give Bakuman a shot.